There really is no single brand of contact lens solution or lens care system that is the best for every person who wears contacts. All brands available for purchase in the U.S. have been demonstrated to be effective in clinical trials (when used properly) and have been approved for use by the FDA. 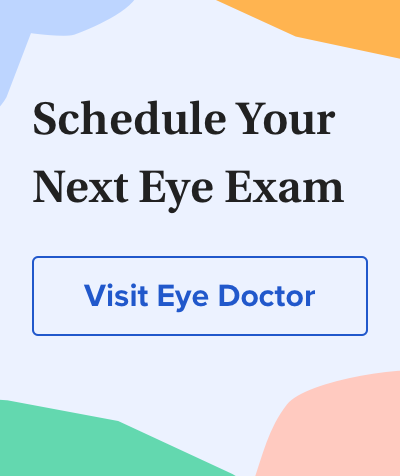 For any contact lens cleaning and disinfection solution or care system to be effective, you must follow the instructions for use that appear on the product labeling and any other specific lens care instructions that your eye doctor may give you. There are two primary types of contact lens care systems: multipurpose contact lens solutions and hydrogen peroxide-based care systems. Each system has its own features and benefits. Multipurpose contact lens solutions are dual-purpose liquids that both clean and disinfect contacts. Multipurpose contact lens solutions are designed to clean, rinse, store and refresh your contacts. Remove the contact lens from your right eye and place it in the palm of your hand. Moisten both sides of the lens with several drops of the multipurpose solution. Rub the lens gently for about 20 seconds — using either your index finger and opposite palm or your thumb and index finger of the same hand. Thoroughly rinse each side of the lens for a few seconds with a fresh stream of multipurpose solution. Place the contact lens in a clean, dry lens case and fill with fresh multipurpose solution. Repeat steps 2-6 for the lens on your left eye. Soak the lenses for least 4 hours or as directed on the label on the multipurpose solution bottle. When you’re ready to wear your lenses again after the disinfection period, remove them from the storage case and rinse each lens for a few seconds with fresh multipurpose solution before putting them on your eyes. Proponents of multipurpose contact lens solutions say they are less expensive and easier to use than hydrogen peroxide-based solutions, and therefore contact lens wearers are more likely to use multipurpose solutions properly. Apparently, eye doctors and consumers agree. Multipurpose contact lens solutions are the most popular lens care product sold in the United States. In 2017, roughly 67 percent of eye doctors in the U.S. recommended multipurpose contact lens solutions for lens cleaning and disinfection. Like multipurpose contact lens solutions, HPB lens care systems very effectively disinfect contact lenses if used properly. But the hydrogen peroxide-based systems tend to be a little more cumbersome to use. Eye care professionals who recommend HPB care systems often advise that you first clean your contacts with a separate surfactant cleaning solution and then rinse them with sterile saline solution prior to the disinfection process. So extra steps are required, compared with using a multipurpose contact lens solution to clean and disinfect your lenses. Lens disinfection with HPB lens care systems can be a one-step or two-step process, depending on the product. Both one-step and two-step HPB lens care systems require neutralization of the hydrogen peroxide solution after lens disinfection and prior to wearing the lenses. This is because hydrogen peroxide is an effective disinfecting agent, but it is toxic to the cornea and must be converted to saline with a neutralizing agent to avoid eye injury. In one-step HPB systems, the lenses are placed in a holder within a cylindrical contact lens case, and the case is filled with a 3 percent solution of hydrogen peroxide. The bottom of the case contains a solid disk of a material that immediately begins neutralizing the hydrogen peroxide. In two-step systems, the contacts are placed in a lens case filled with only the hydrogen peroxide for a specified period of time. A neutralizer is then added to the case to convert the disinfectant to harmless saline. Hydrogen peroxide care systems are preservative-free and therefore are often recommended for contact lens wearers who may be sensitive to preservatives found in multipurpose contact lens solutions. Hydrogen peroxide-based lens care systems are not free from controversy, however. Eye care professionals who prefer multipurpose contact lens solutions say one-step HPB systems may not expose contacts to full-strength hydrogen peroxide for an adequate period of time for effective disinfection of resistant microbes, including those that cause a serious eye infection called Acanthamoeba keratitis. They also say two-step HPB systems pose the risk that users will forget the neutralizing step and incur a painful eye injury from exposing their eyes to unneutralized hydrogen peroxide. Another potential problem with HPB systems is that after the hydrogen peroxide has been neutralized, the solution remaining in the lens case has no disinfecting ability. It's possible the case and your contacts can become contaminated if you open the case and then use it to store your lenses without adding fresh disinfecting solution. Choosing the best contact lens solution for you is not a decision you should make yourself. During your contact lens fitting, your eye doctor will tell you which solution he or she feels is best for you. Also, do not change lens care systems before first discussing it with your eye doctor.